Find out why a camera company, a pipeline operator, and a coffee giant top our list of income-producing stock ideas right now. Anders Bylund (Canon): The maker of cameras, office equipment, printing systems, and more has been on a shopping spree in recent years. Canon has acquired six smaller companies over the last four years, reshaping the business model and lifting its top-line revenues. At the moment, the company is enjoying strong revenue growth in medical imaging devices, network cameras, and equipment for manufacturing OLED screens. Annual sales have increased by 15% over the last three years, coupled with 26% higher earnings per share. In short, Canon's business is strong today and aiming for even greater heights a few years down the road. 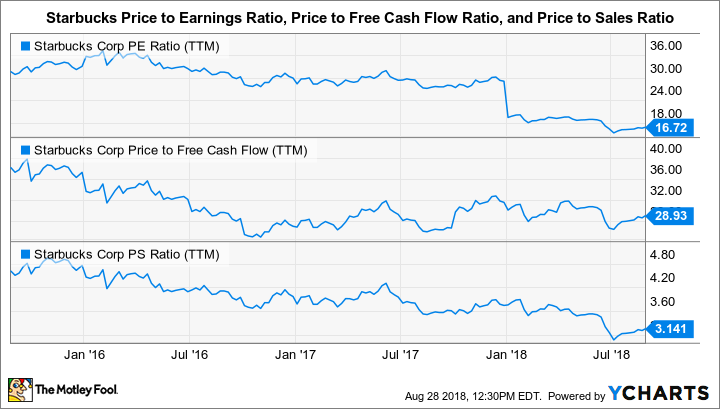 But share prices have dropped 14% lower year to date, and Canon's shares are trading at just 15 times trailing earnings -- their lowest P/E ratios in the last three years. As a result, the dividend yield has increased to a multiyear high of 4.6%. CAJ Dividend data by YCharts. 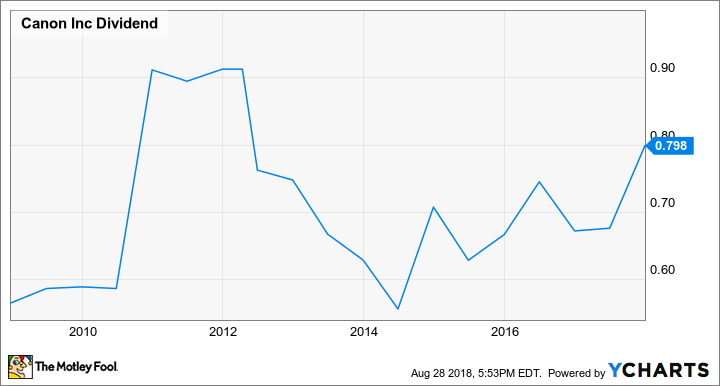 If you can get over that psychological speed bump, Canon presents generally growing dividends over the long term alongside rising sales and affordable share prices. In my book, that's a high-yield stock worth buying today. Maxx Chatsko (Enterprise Products Partners LP): It may not have much name recognition, but this $64 billion midstream company plays an important role in the American energy sector. Units also sport a healthy 6% yield, but the business generates more than enough distributable cash flow to cover the generous payout. In fact, the distribution has grown for 56 consecutive quarters. Upcoming growth projects bode well for that streak continuing for the foreseeable future. Enterprise Products Partners operates a robust transcontinental network of storage, pipeline, and export infrastructure for crude oil, natural gas, and natural gas liquids (NGLs). The latter products may be overlooked among most energy investors, but they're responsible for 59% of the company's total operating income dating back to June 2017. Enterprise Products Partners is leveraging its leadership position in NGLs logistics to prepare for a huge under-the-radar opportunity. According to the American Chemistry Council, since 2010, global companies have committed more than $181 billion in investment capital to build world-class chemical manufacturing facilities in the United States to take advantage of ridiculously low prices of NGLs, which will be converted to valuable petrochemicals such as ethylene and propylene. Not only can the midstream giant supply NGLs via pipeline to new facilities in the Northeast and along the Gulf Coast, but it's also preparing to shuttle the resulting petrochemicals down to dedicated storage and export facilities it owns along the Gulf Coast. Add it all up, and Enterprise Products Partners will be vertically integrated in an industry expected to grow domestic revenues by more than $100 billion per year by the mid-2020s. That makes the high-yield stock worth a much closer look for long-term investors. Brian Feroldi (Starbucks): Long-term investors in Starbucks haven't kept up with the gains of the S&P 500 over the last few years. Shares have basically traded sideways since late 2015, while the S&P 500 is up 45% in the same time frame. SBUX PE Ratio (TTM) data by YCharts. The upshot of this revaluation is that Starbucks' dividend yield has been soaring. Shares currently yield 2.3%, which is an all-time high for the business. That high yield wouldn't matter to me if Starbucks was in serial decline, but I think there's reason to believe the opposite is true. Asia, ultra-premium coffee, and tea remain huge growth opportunities for this business. The company is also set to receive a $7.2 billion check from Nestle. When combined with the company's knack for generating boatloads of cash, management plans on returning $25 billion to shareholders between now and fiscal 2020 through dividends and stock buybacks. Add it all up, and market watchers project that Starbucks' earnings will grow in excess of 13% annualized over the next five years. With shares trading for about 20 times next year's earnings estimates and offering up a market-beating yield, I can't help but think that this company is a strong buy right now.